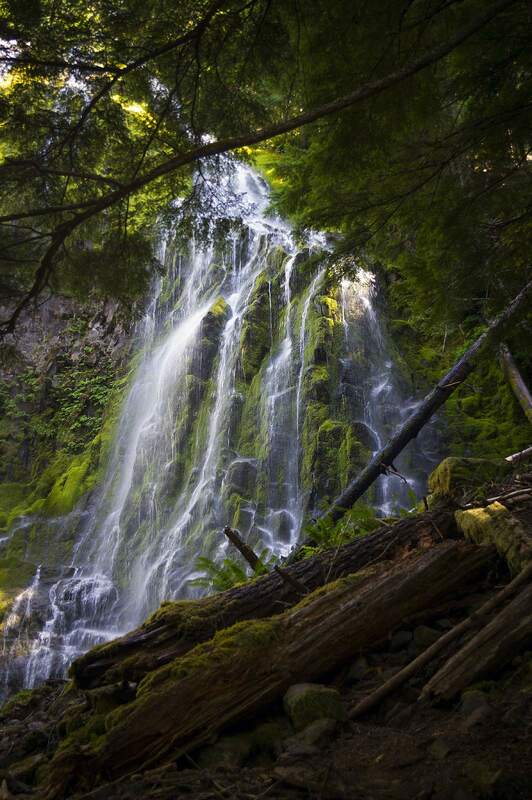 This multi-tiered, cascading waterfall is hidden in the dense Williamette National Forest along the McKenzie Pass Scenic Byway. 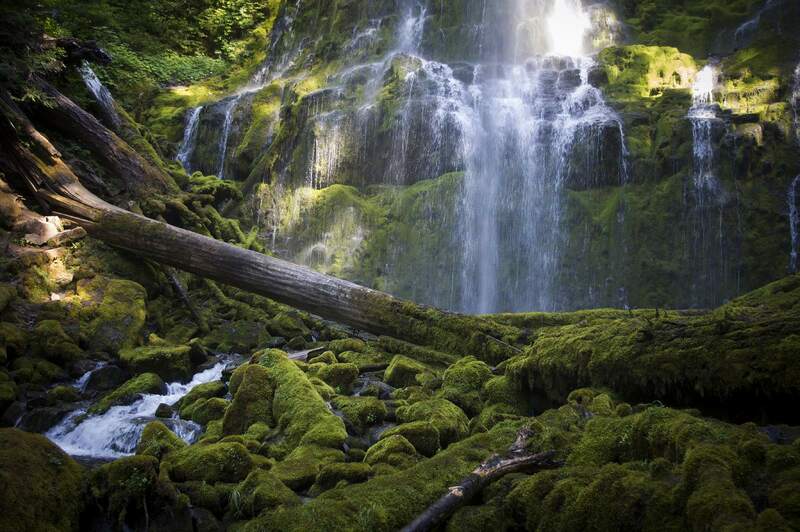 It is one of the most frequently photographed waterfalls in Oregon. 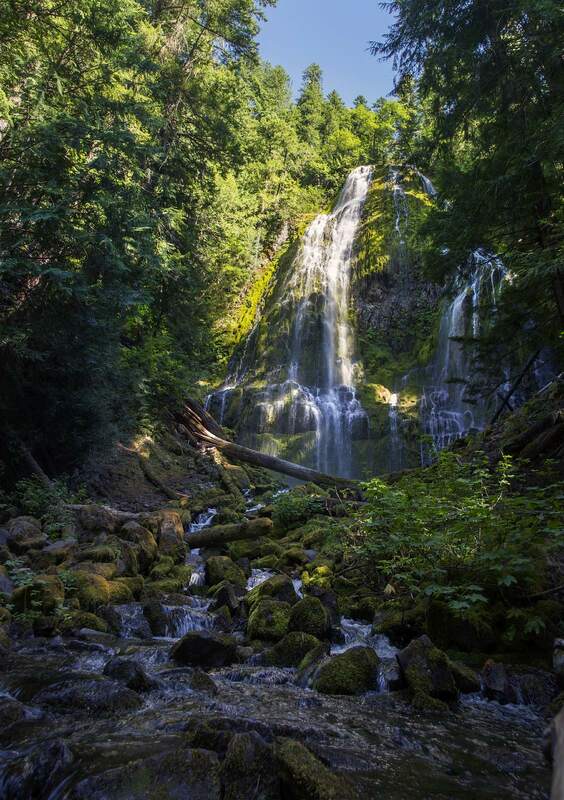 Lower Proxy Falls was created 6,000 years ago when a giant glacier carved a deep trough through the area, leaving steep canyon walls after the ice receded. 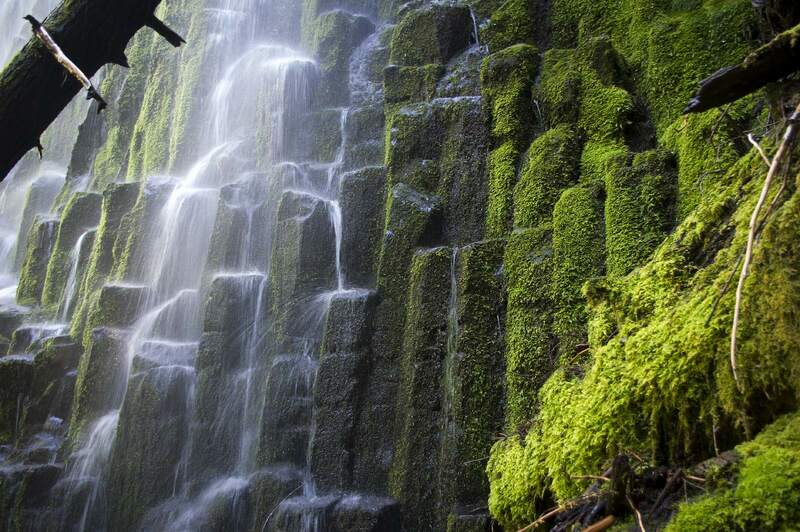 The waterfall is a 100′ drop over stairsteps of broken columnar basalt giving the delicate misty look of the falls.